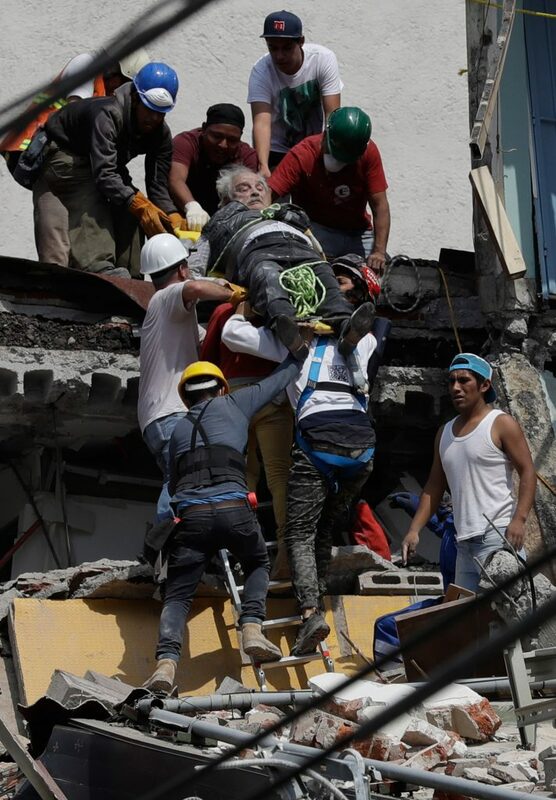 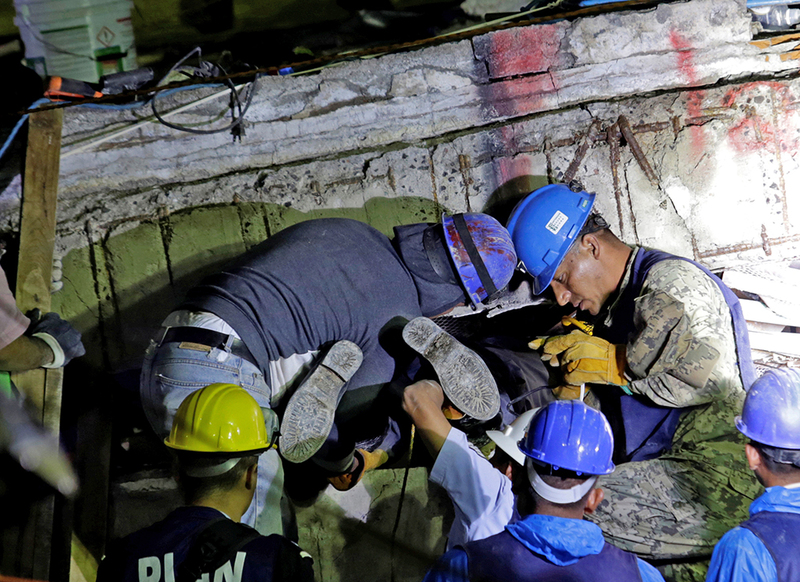 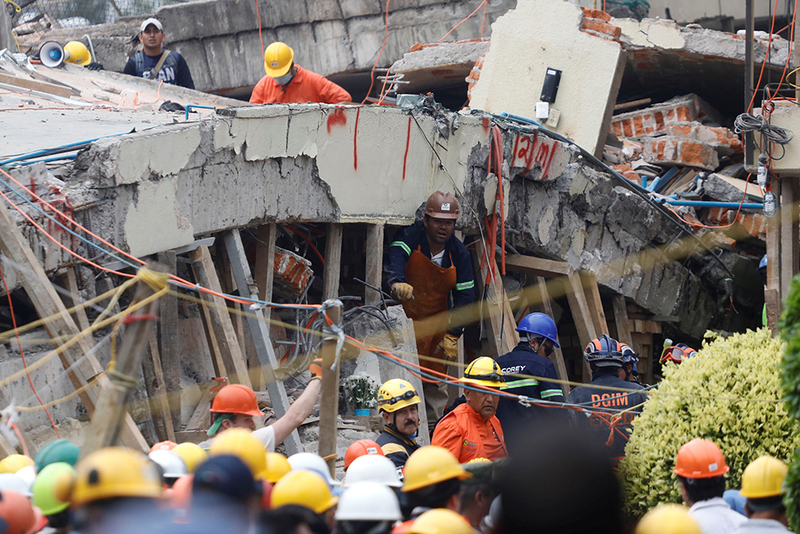 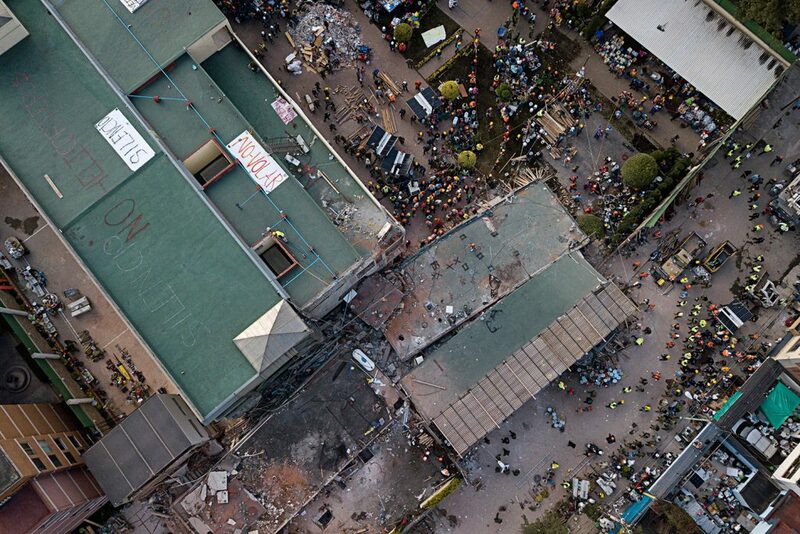 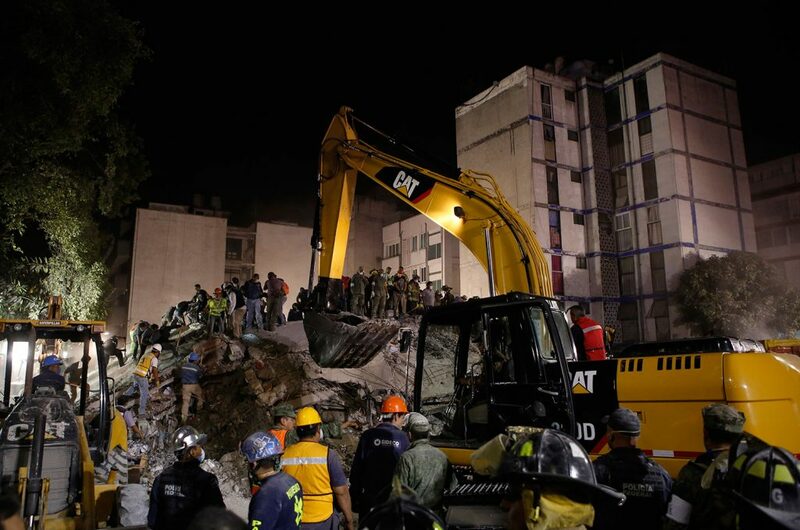 Buildings fall at 44 places in Mexico City alone in the deadliest earthquake to hit the country since a 1985 quake on the same date killed thousands. 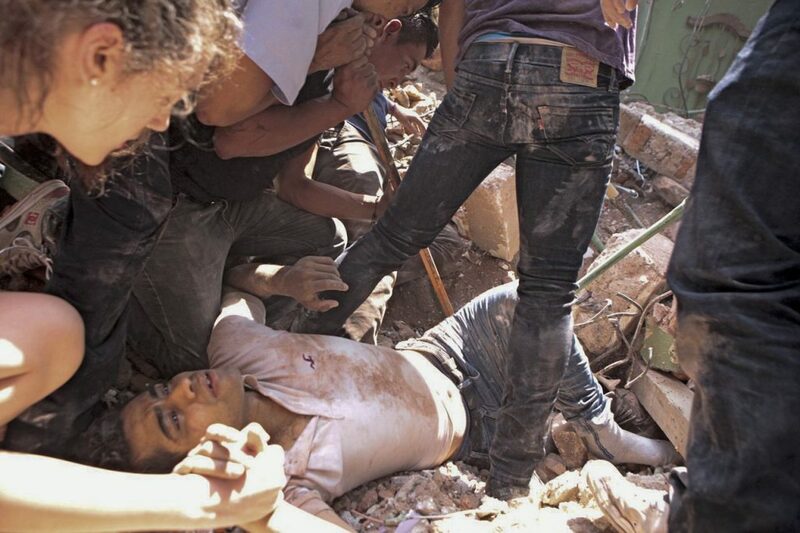 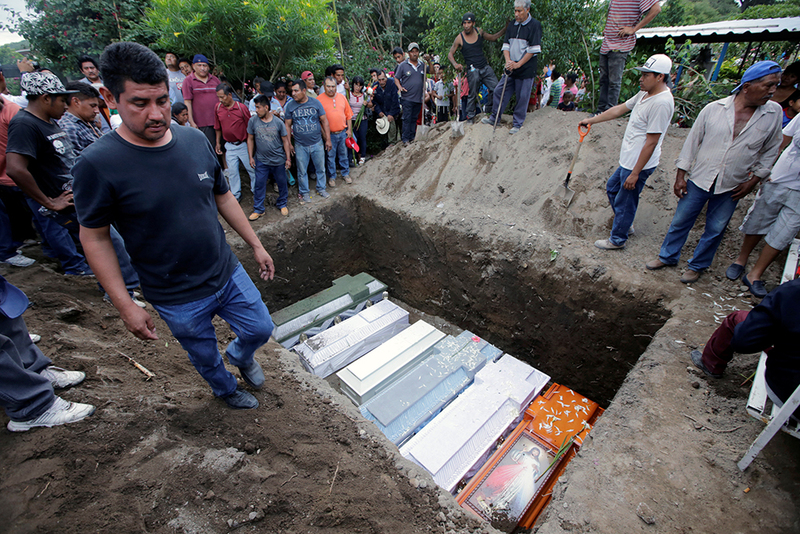 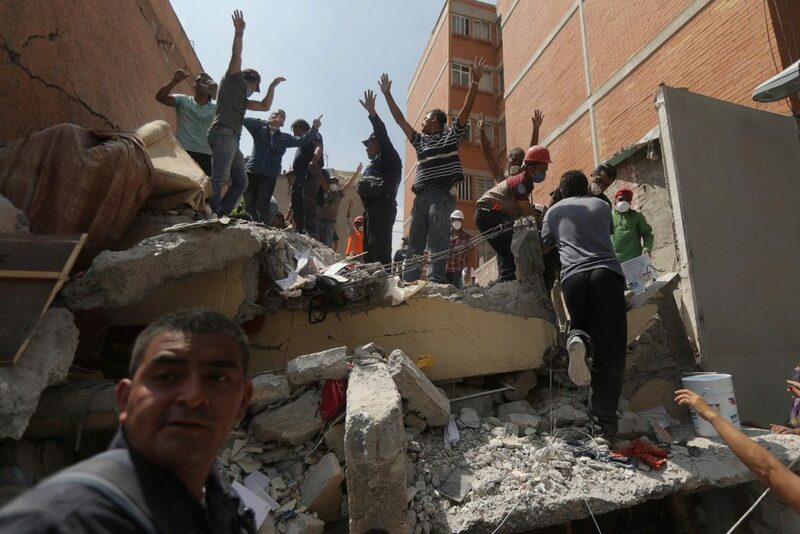 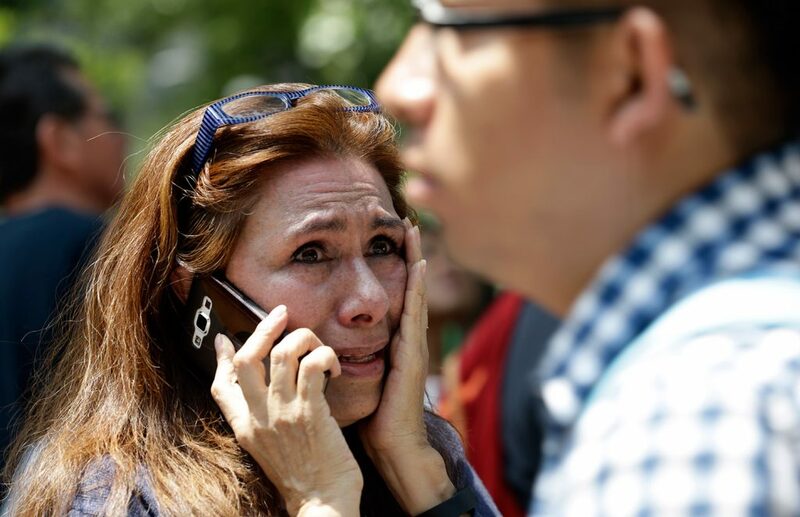 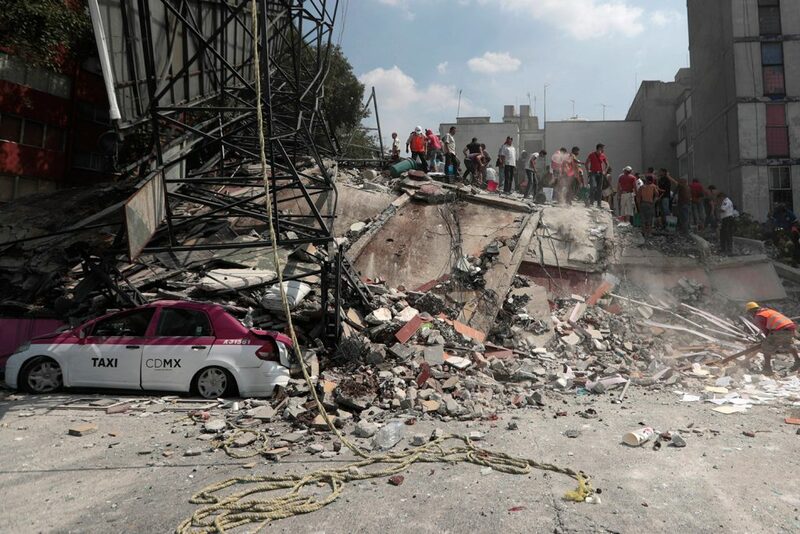 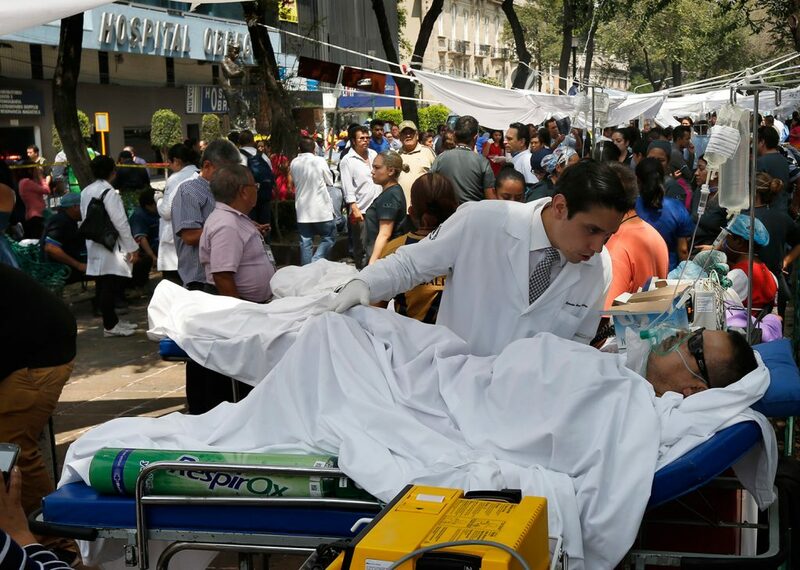 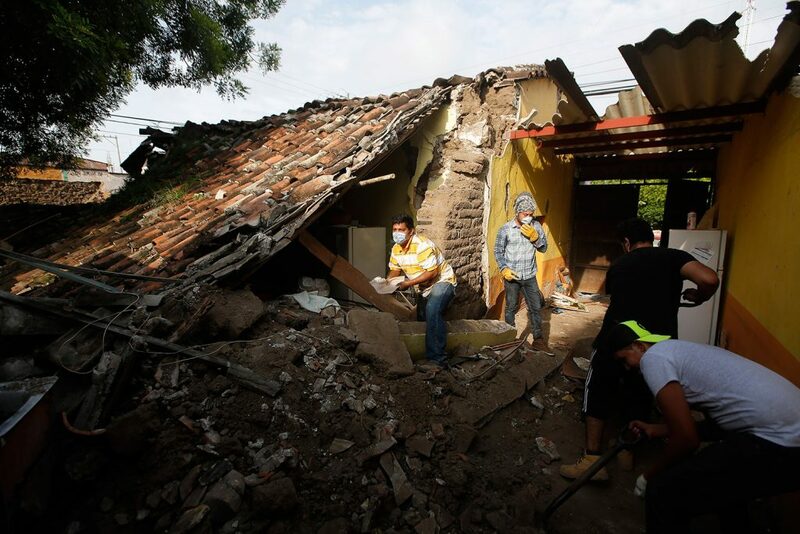 MEXICO CITY – A powerful earthquake shook central Mexico on Tuesday, collapsing buildings in plumes of dust and killing at least 149 people. 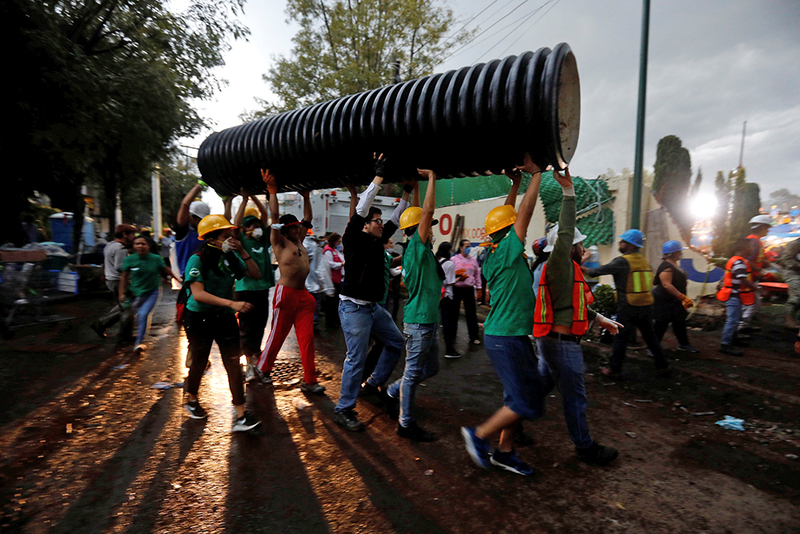 Thousands fled into the streets in panic, and many stayed to help rescue those trapped. 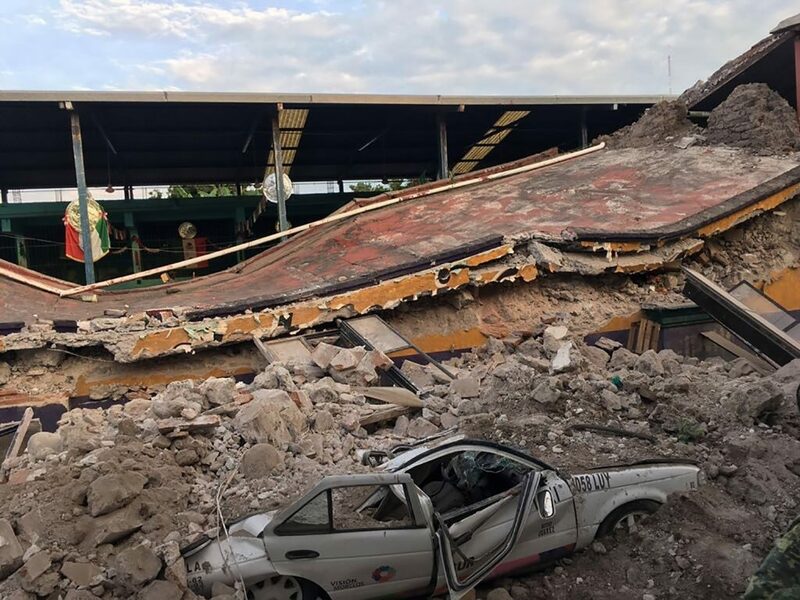 Hours after the magnitude 7.1 quake, rescue workers were still clawing through the wreckage of a primary school that partly collapsed in the city’s south, looking for any children who might be trapped. 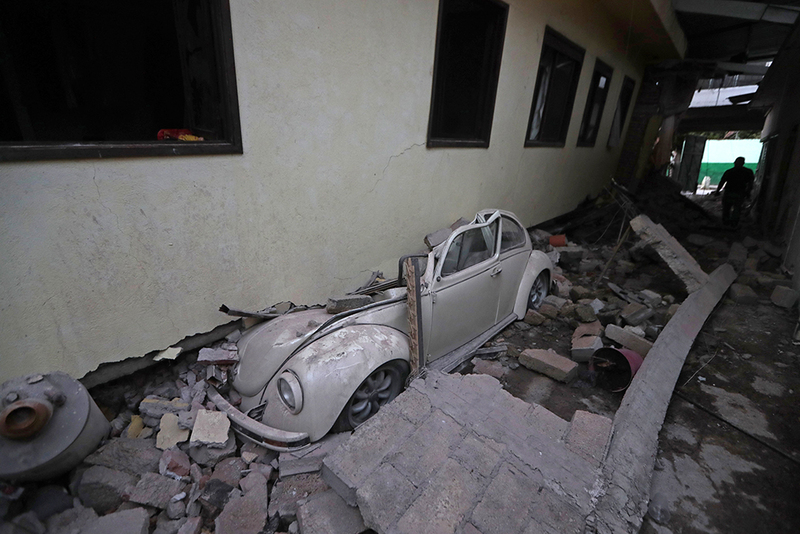 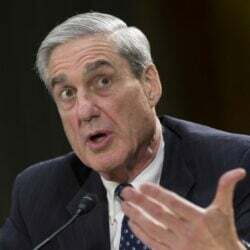 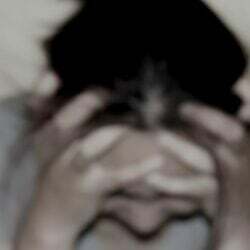 Some relatives said they had received a Whatsapp message from two girls inside. 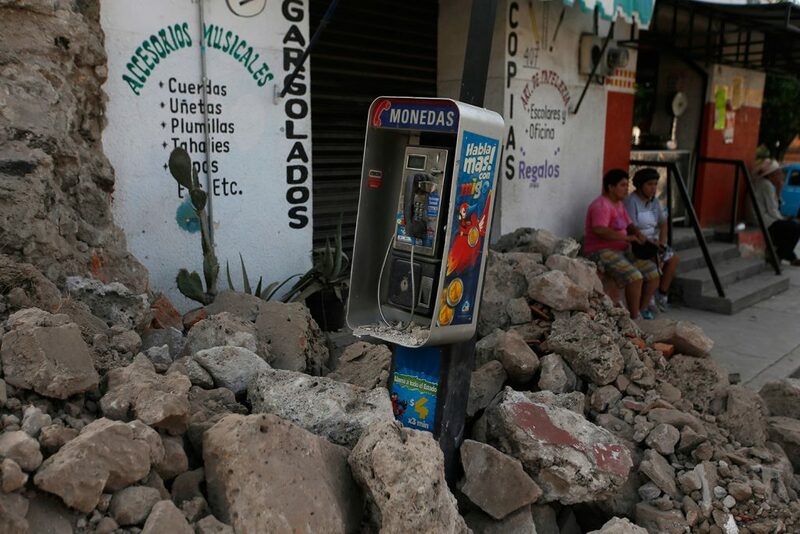 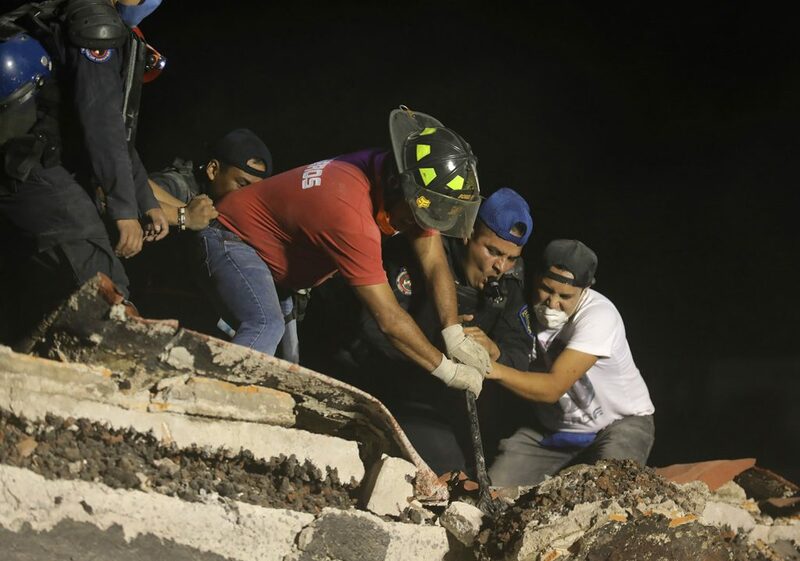 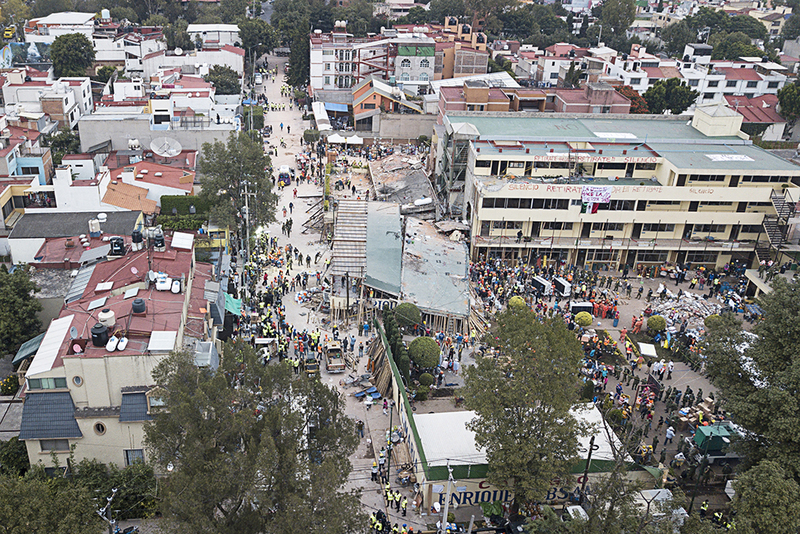 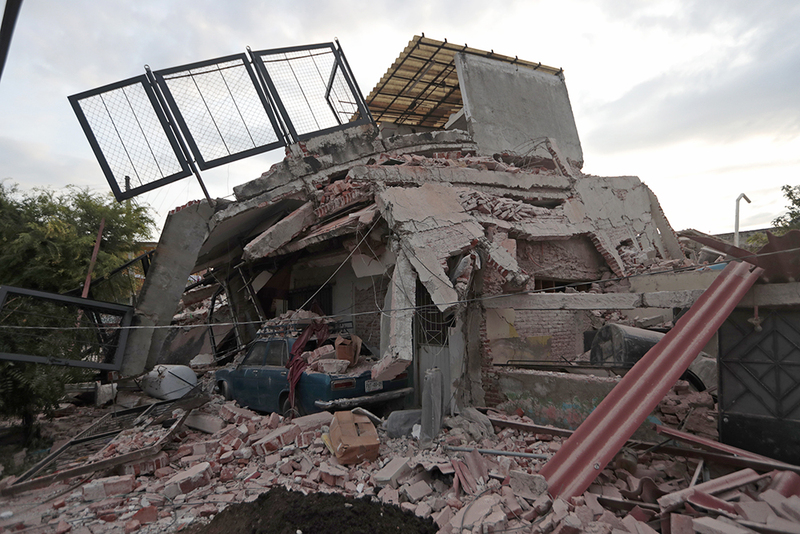 The U.S. Geological Survey said the magnitude 7.1 quake hit at 2:15 p.m. EDT and was centered near the Puebla state town of Raboso, about 76 miles southeast of Mexico City. 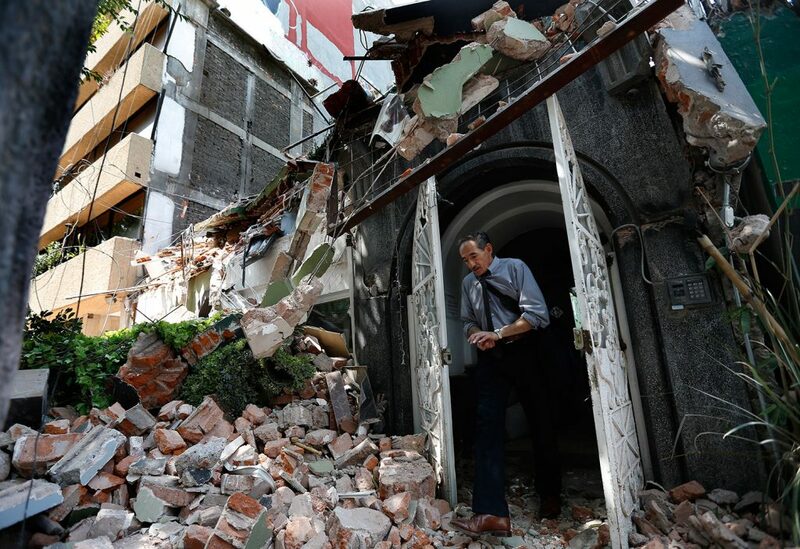 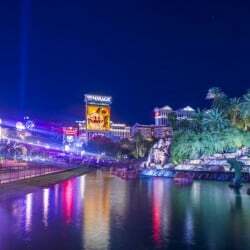 There have been 19 earthquakes of magnitude 6.5 or larger within 150 miles of Tuesday’s quake over the past century, Earle said.